In the second blog of this series, Wechat development series 2 – development Q&A service using nodejs we have developed a kind of Q&A service in Wechat. In this blog, let’s replace the Q&A service hosted by tuning API with another style: everytime the end user of your test subscription account has sent some message to it, then create a corresponding social media message in C4C system ( and a new service request will also be automatically created together with that social media message ). 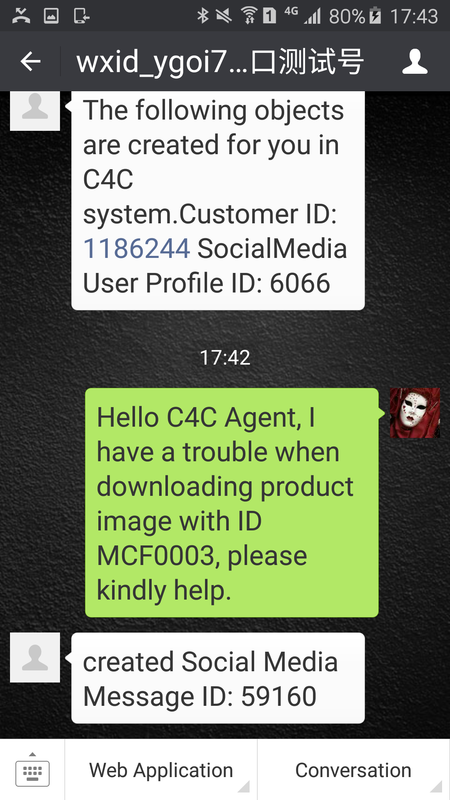 In C4C system an individual customer for this end user who has subscribed the Wechat test account will automatically be created, together with a new social media user profile created as well and bound to this individual customer. 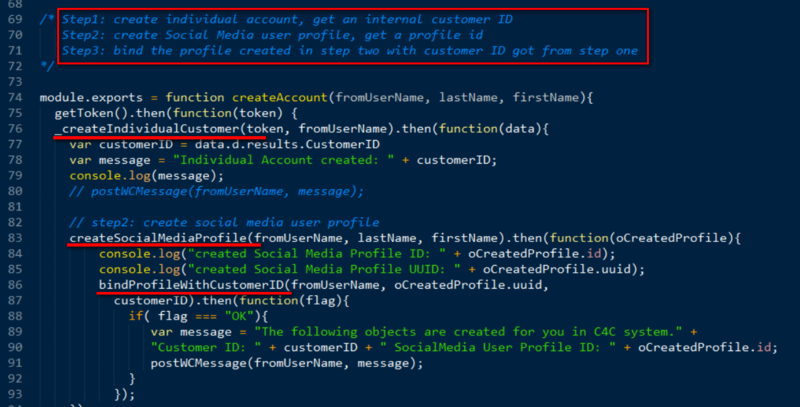 The end user will receive a notification about created customer ID and profile ID once creation finishes in C4C system. 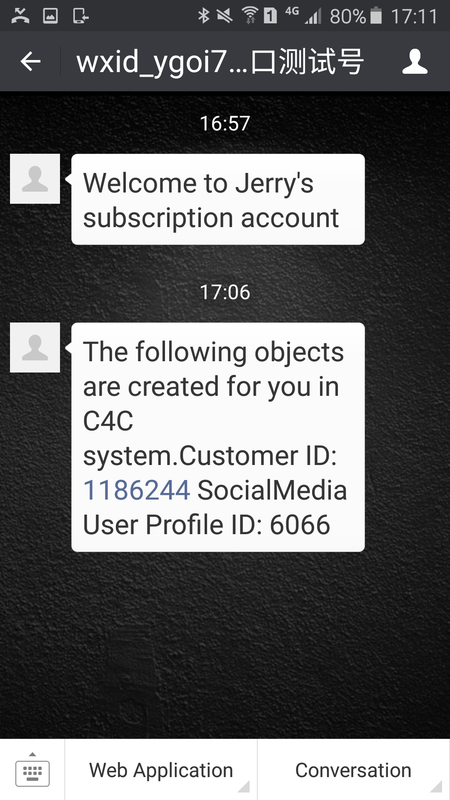 The created customer could be found in C4C system with a custom Channel type displayed as “Jerry’s Wechat Channel”. 2. 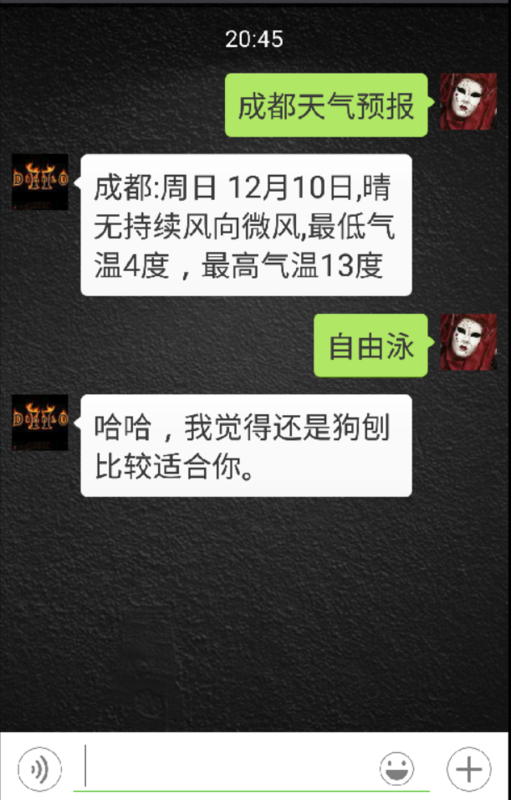 As long as end user sends some new text to the Wechat subscription account, a new social media message will be created in C4C. 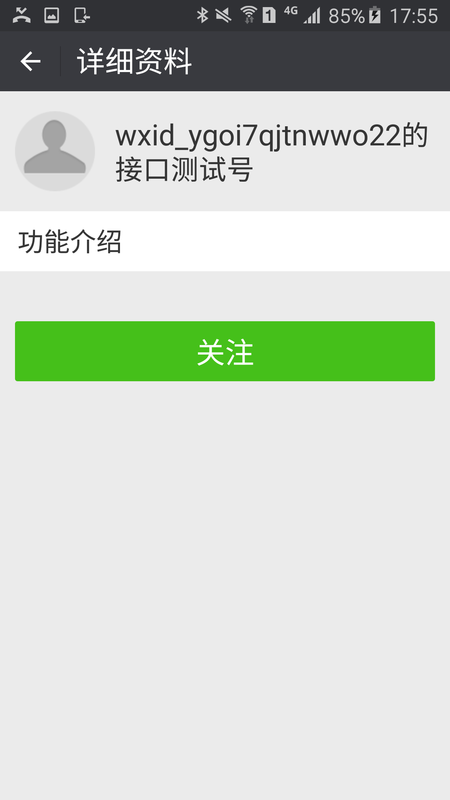 The end user will receive a notification in Wechat about the created message ID, in my example it is 59160. And a new ticket is also automatically created for this social media message. The creation of this ticket is a standard behavior of C4C, no custom development is necessary. The feature described so far is developed based on the existing project used in previous blogs. 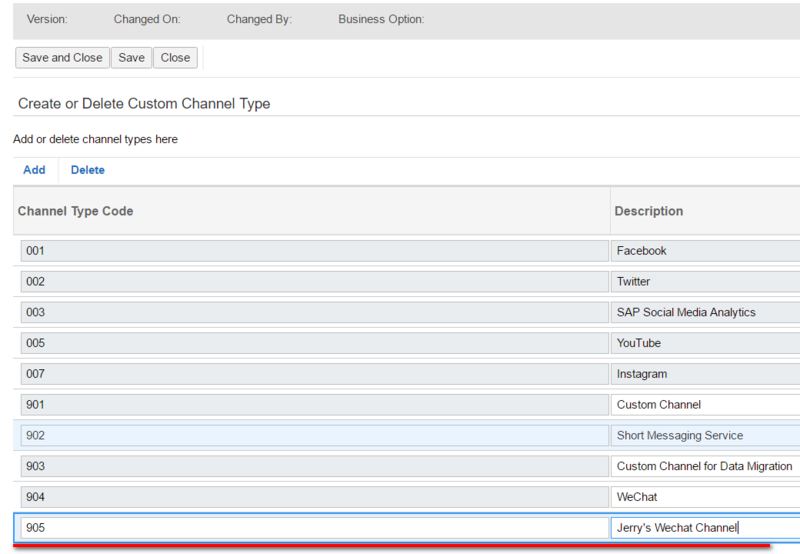 And create a concrete channel based on the 905 custom channel type created just now, write down this channel ID ZJERRYWC as well. module createAccountInC4C.js is responsible for individual customer creation. Once finished, it will call another two modules highlighted below to create social media user profile and link the user profile with created individual customer. For social media user profile creation, the ID of previous created custom channel for Wechat, 905, is hard coded in module implementation createSocialMediaProfile.js. 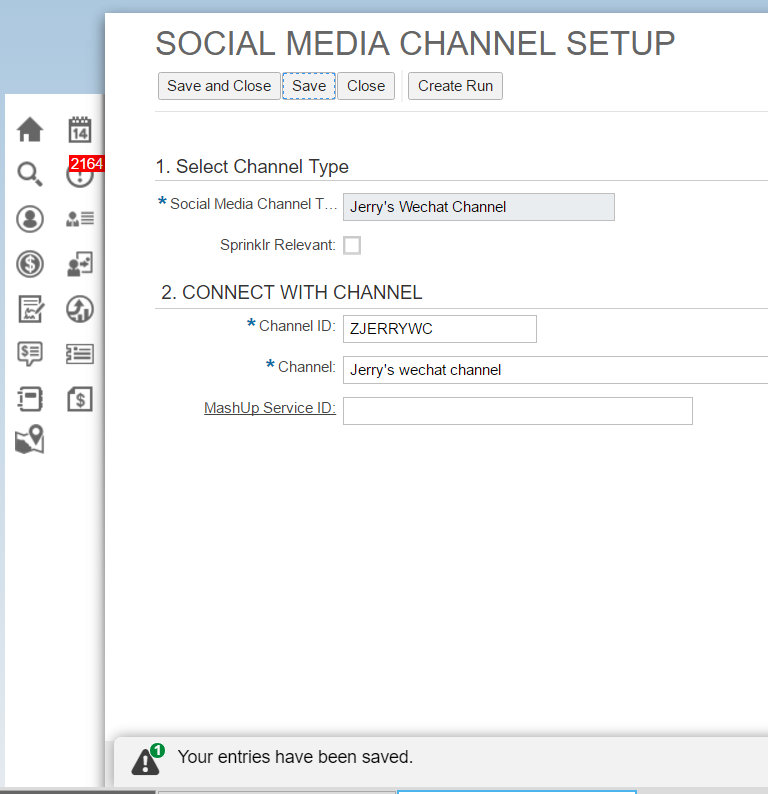 The message creation is implemented in module createSocialMediaActivity.js. Call this createSocialMessage module in the event handler when a new text is sent by Wechat end user. I have tried creating the Social media message using the wechat development series 9. Everyone can learn this thing by reading the post or clicking the Google Customer Service where it is discussed in detail.